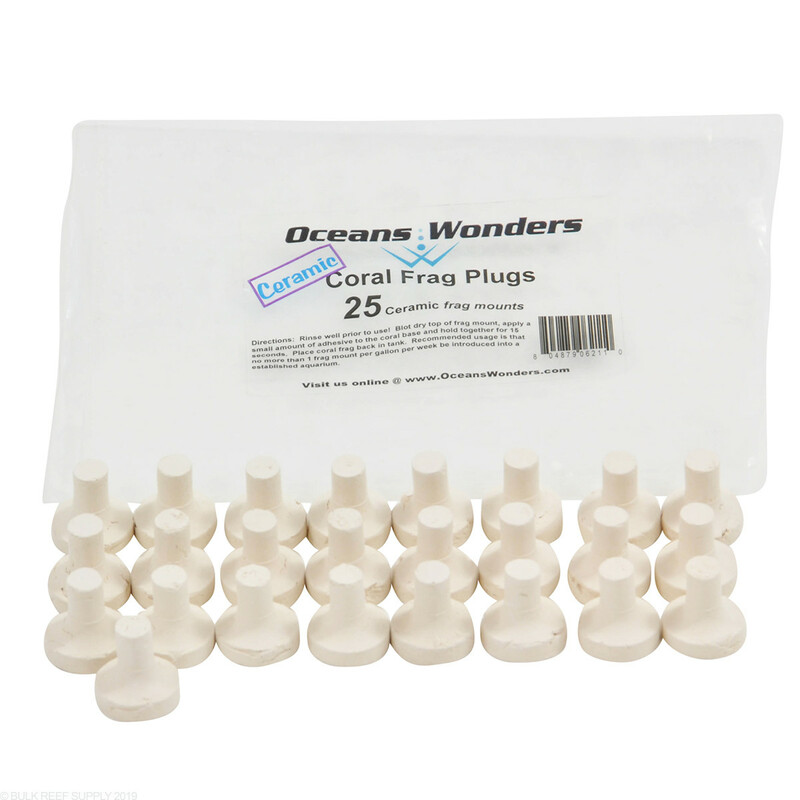 Ceramic coral frag plugs do not need to be cured before use. Simply just glue your fresh frag to the plug or tile and place it in your tank. 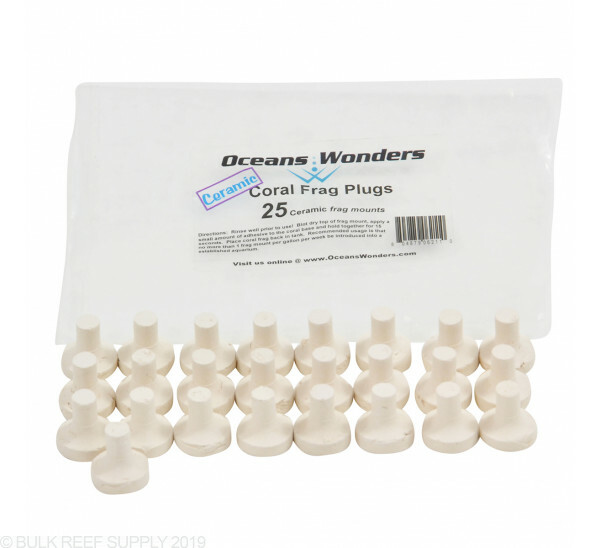 Oceans Wonders Ceramic Coral Frag Plugs are fired in a kiln at nearly 2000 degrees making them 100% inert and reef safe. I have tried many in the past. I always come back to these. Love the ceramic plugs and Ocean Wonders makes a good high quality Plug. My first plug purchase and I'm happy with them. They are about the size of a dime. I've dropped them and none of them broke or shipped broke. Good frag plug, small and compact. The only complaint I have is it too smooth, some pf my frag stuck with glue came clean off the frag plug. Good size. Great for Zoas and smaller pieces. Good product, no issues. Summary says it all. If you have high flow they'll blow right out of you egg crate and these things are tiny. Works as described. Pro: Much more convenient on a frag rack than odd sized home made plugs. potential con: not very natural looking. conclusion, good for farming but not got display tank. These plugs are over textured and very brittle to the touch. Two came in broken and one more broke simply rinsing them in RO/DI I am going to end up throwing them out because I cant trust they stay together in my tank, or god forbid leech something into my water, most cured ceramic plugs stay together...why are mine mush? Do not recommend. Hopefully a fluke. Pretty simple product that works well. Came in good packaging with all plugs intact. Soak them prior to putting on glue to get air bubbles out. Solid product. I like these plugs because they have a textured surface to help the glue adhear, they don't need to be cured, and the stem cuts off easily for when you want to glue the disk down in your DT.